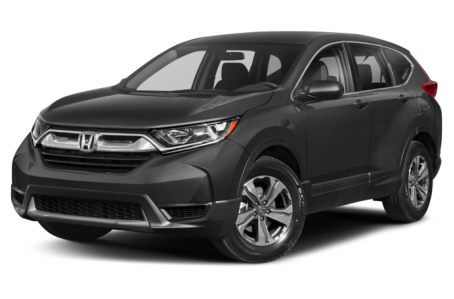 The 2018 Honda CR-V is a popular compact SUV that seats up to five passengers. Powering the CR-V is a standard 184-hp, 2.4-liter 4-cylinder engine, while a more powerful and efficient 190-hp, turbocharged 1.5-liter 4-cylinder is also available. Both engines are mated to a continuous variable automatic transmission (CVT) and front- (FWD) or all-wheel drive (AWD). The Turbo 1.5L/FWD setup has the best fuel economy with an EPA-estimated 28/34 mpg.